EXTREMELY FINE GEM. 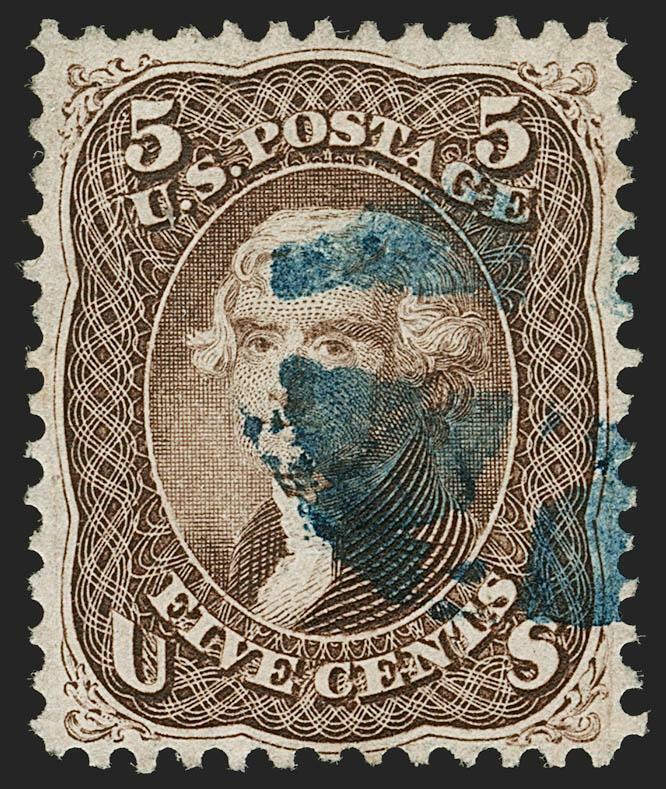 THIS MAGNIFICENT USED EXAMPLE OF THE 1868 10-CENT E GRILL IS GRADED SUPERB 98 JUMBO BY P.S.E. -- IT IS CLEARLY ONE OF THE FINEST IN EXISTENCE. THIS IS THE HIGHEST GRADE AWARDED AND IT IS SHARED BY ONLY ONE OTHER. EXTREMELY FINE GEM. 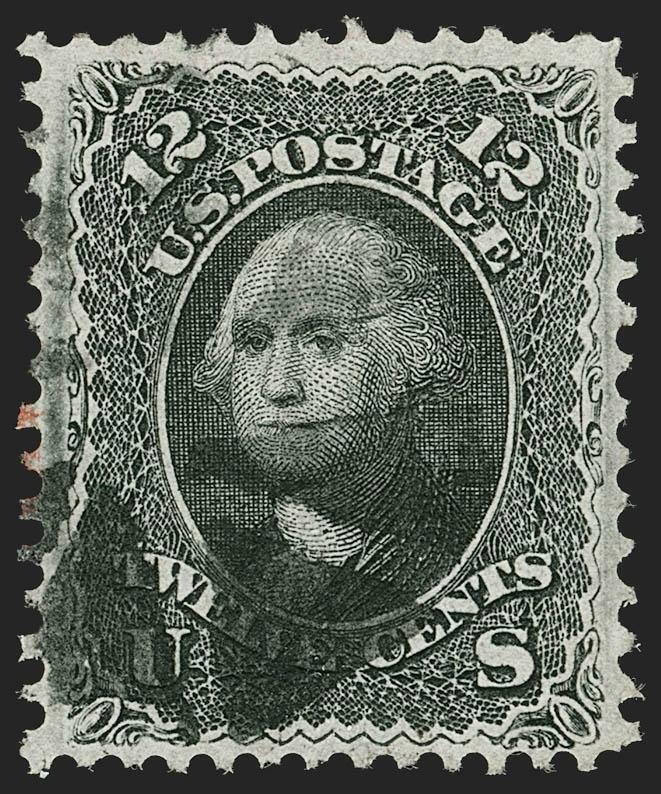 A SUPERB USED EXAMPLE OF THE 1868 12-CENT E GRILL, GRADED XF-SUPERB 95 JUMBO BY P.S.E. 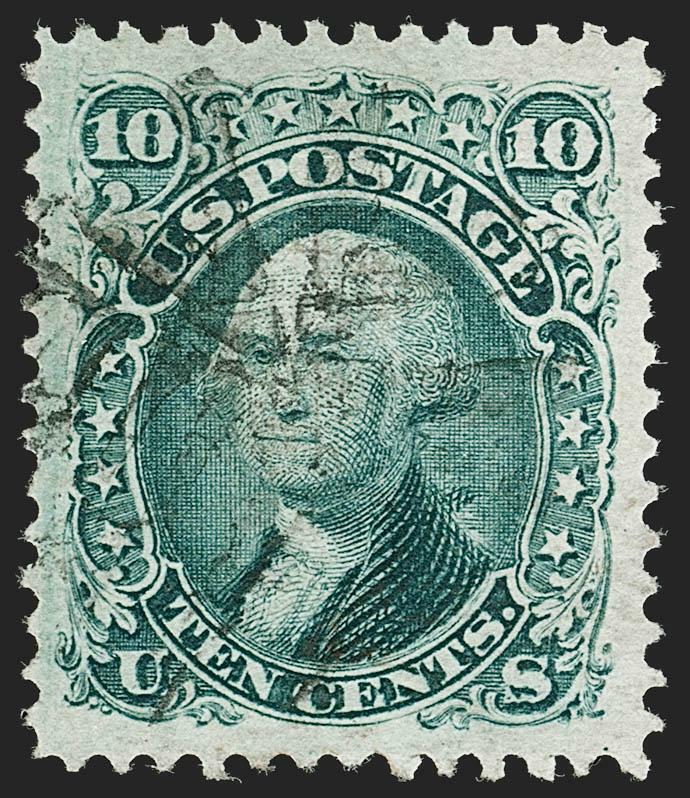 -- THIS IS THE HIGHEST GRADED SCOTT 90 WITH A COLORED CANCEL. 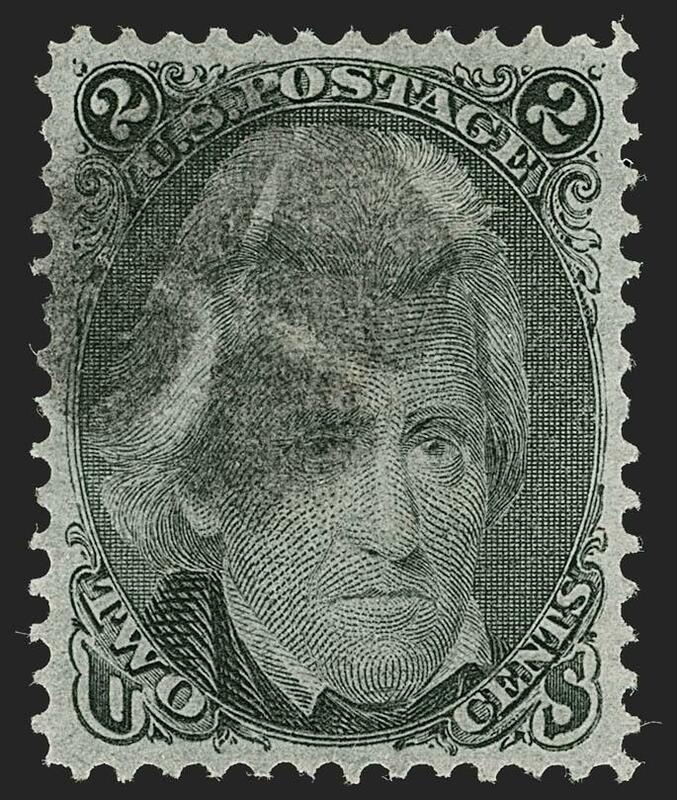 ONLY ONE STAMP HAS GRADED HIGHER. EXTREMELY FINE GEM. 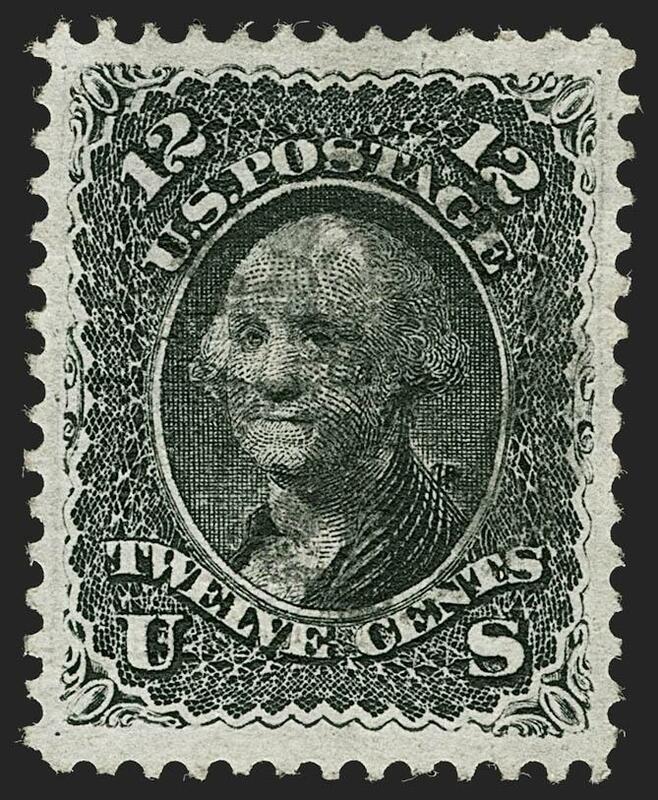 A BEAUTIFUL USED EXAMPLE OF THE 1868 12-CENT E GRILL. DIFFICULT TO FIND IN SUCH SUPERB CONDITION. EXTREMELY FINE GEM. 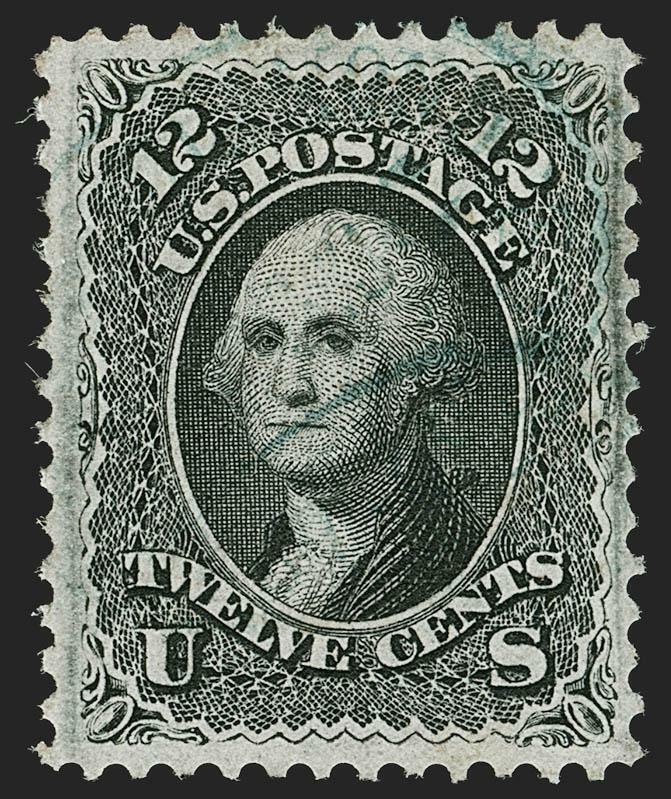 A STUNNING USED EXAMPLE OF THE 1868 2-CENT F GRILL, GRADED SUPERB 98 BY P.S.E. -- THIS IS THE HIGHEST GRADE AWARDED AND IT IS SHARED BY ONLY TWO OTHERS. EXTREMELY FINE GEM. 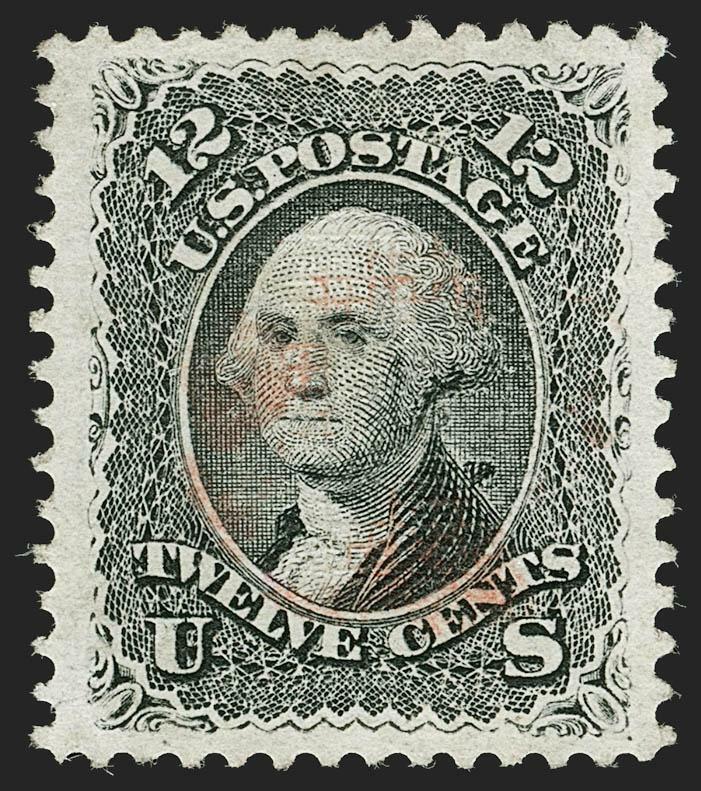 A SUPERB USED EXAMPLE OF THE 1868 2-CENT F GRILL. EXTREMELY FINE GEM. 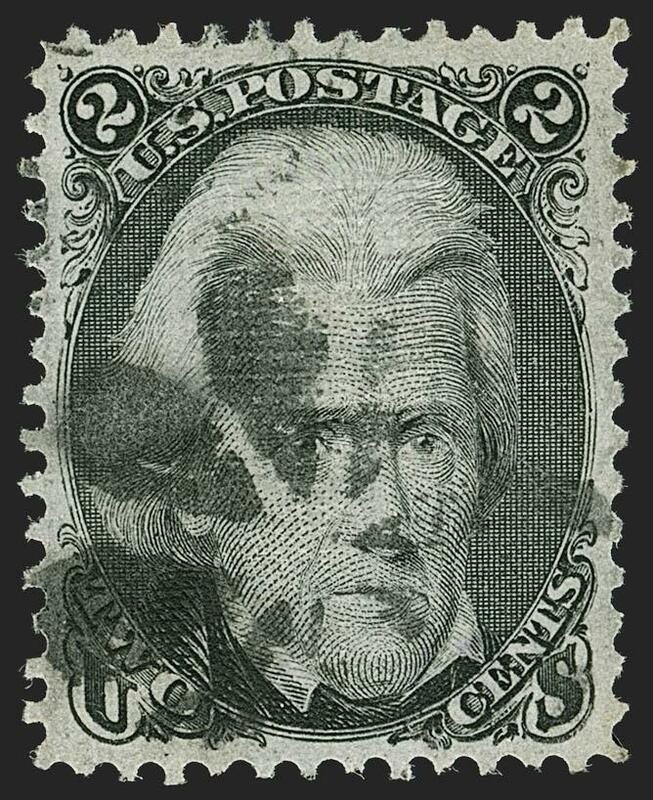 ONE OF THE FINEST 1868 5-CENT F GRILL STAMPS EXTANT AND CERTAINLY THE BEST QUALITY EXAMPLE OF THE BLACK BROWN SHADE WE HAVE EVER ENCOUNTERED. The 5c F Grill is known in Brown, Dark Brown and Black Brown. 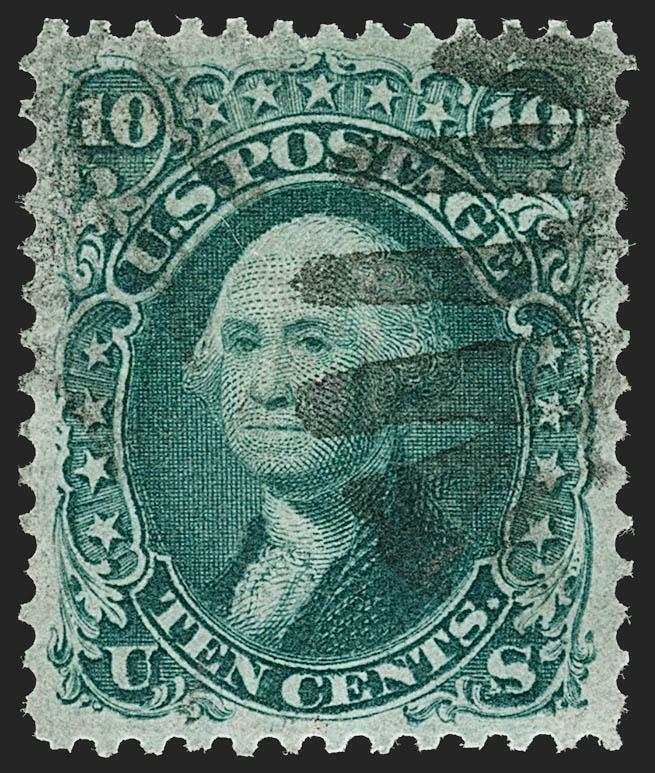 The first two are in the same color family (listed as Scott 95). 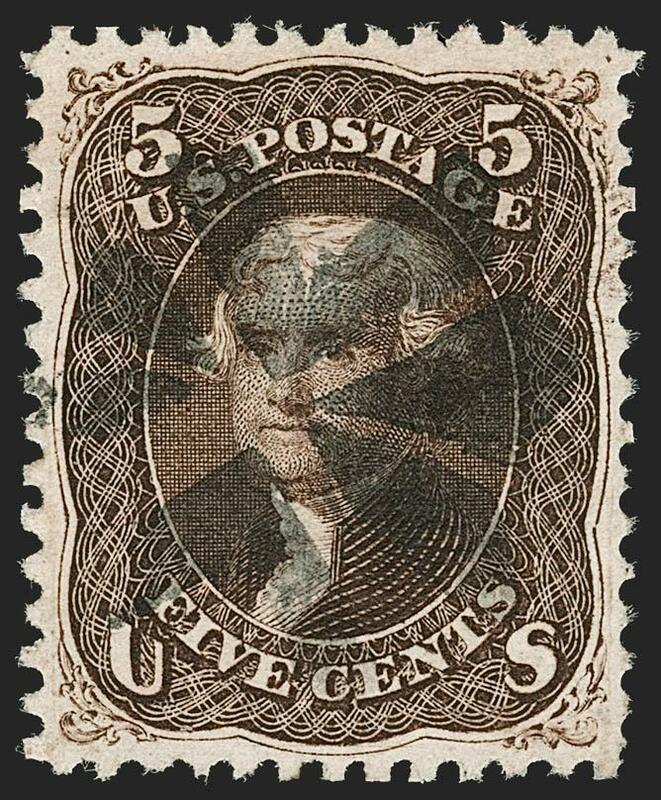 The Black Brown is distinctly darker and is given its own sub-letter designation, Scott 95a. The Dark Brown is sometimes mistaken by collectors for the Black Brown shade, but a side-by-side comparison illustrates the significant difference between the two. On the Black Brown the engraved lines are especially clear, it has a proof-like appearance, and is significantly scarcer than the other shades. EXTREMELY FINE GEM. 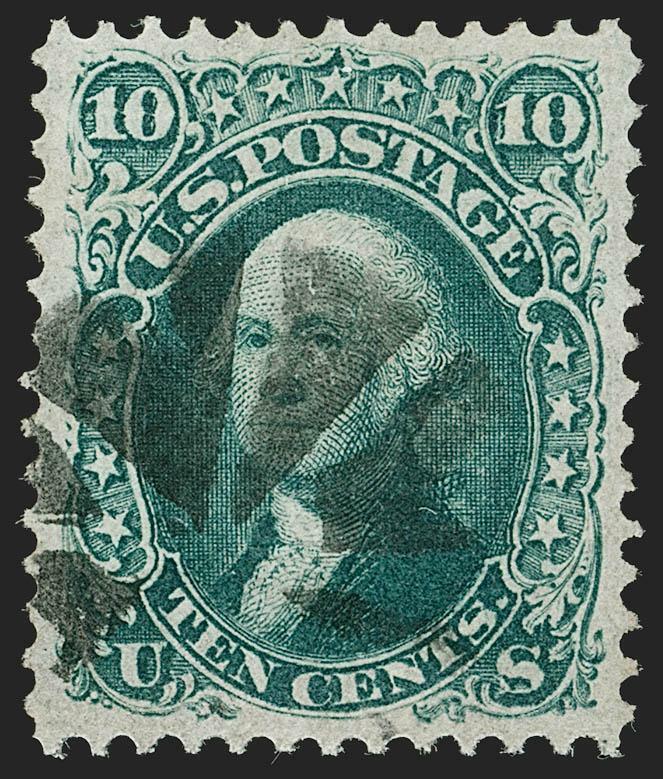 A GORGEOUS USED EXAMPLE OF THE 1868 10-CENT F GRILL, GRADED XF-SUPERB 95 BY P.S.E. -- ONLY ONE HAS GRADED HIGHER AND TWO OTHERS SHARE THIS DESIRABLE GRADE.